3D cameras will be placed in positions outside Buckingham Palace and Westminster Abbey. Although BSkyB's request to film the Royal Wedding in 3D within Westminster Abbey was turned down, the broadcaster will record portions of the wedding day's pomp and circumstance in 3D from positions outside Buckingham Palace and the Abbey. The camera set-ups even include one position, outside the Abbey, that looks into the church and straight down its center aisle. BSkyB's Sky 3D in the U.K. is the world's first 3D channel. According to Sky News' royal wedding executive producer Kate McAndrew, the broadcaster wasn't granted permission to film inside the Abbey, because "they decided that the 3D camera was going to be too big for the Abbey and felt there was not a good enough trade-off considering, in their view, that the audience for (3D) was too small." Still, the Royal Wedding is expected to become one of the most watched media events in history, with more than 2 billion expected to tune in to watch Prince William and Kate Middleton's nuptials. "We were desperate to get some 3D involvement in an event as important as this," said Darren Long, director of operations at Sky Sports, who is in charge of outside broadcasts. "Although we didn't get permission to film inside the Abbey purely because of space constraints, we did get permission from Clarence House (The Prince of Wales' residence) to at least capture some of the pageantry from the point of view of a spectator." Long revealed that four camera positions will be used for the 3D coverage, including the position right outside the Abbey looking straight down the aisle itself. "It's a fabulous position for showing all the guests entering and exiting the Abbey," Long said. Other 3D cameras will be placed in front of Buckingham Palace to capture the Palace balcony, with another looking toward the Mall. A fourth rig will be placed outside Canada Gate at London's Green Park. An additional 3D camera pair will capture timelapse pictures. One aim is to create some scenes that will be reminiscent of the archive footage shot in 3D on twin 35mm film cameras of the parade that accompanied Queen Elizabeth II's coronation in 1954. U.K. channel C4 dug up this archival footage and showed it in anaglyph 3D as part of a 3D special series in 2010. 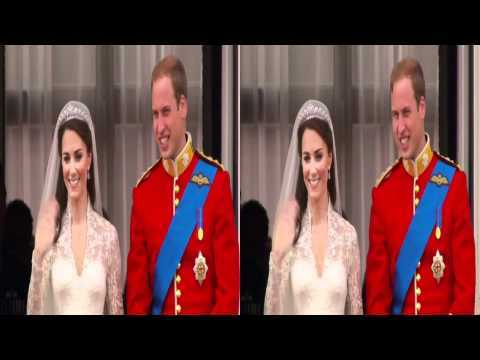 3D footage of the Royal Wedding will be edited over the weekend into a short film to be broadcast on Monday on Sky 3D. To capture the event in 3D, Sky is using Burbank-based 3D company 3Ality Digital's rigs, which have been tapped for various Sky3D productions including Premier League coverage, as well as for features including Peter Jackson's The Hobbit. The 3D system will use Arri Alexa digital cameras. A few week's ago, camera maker Arri announced a partnership James Cameron and Vince Pace's Cameron-Pace Group in the development of a new Arri Alexa M modular digital camera system, with an eye toward 3D production using Cameron-Pace's 3D Fusion system.